Medical issues [Section 6] If these are a problem, go on to Map 3. Trauma [Section 9]. If trauma is important as a source of anxiety, go on to Section 12. Stress[Section 10] If this is an issue, go on to Section 19. 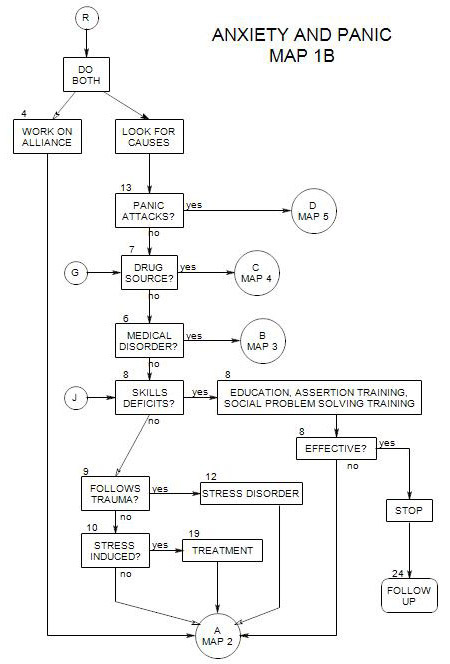 However, the list of possible sources of anxiety has not been exhausted, and you may need to go on to Map 2 for others. Once specific approaches to identifiable disorders have been considered, additional work is discussed in the sections shown on .